Merlin Mini is RTA atomizer by AUGVAPE with 2ml e-juice capacity and 24mm diameter. 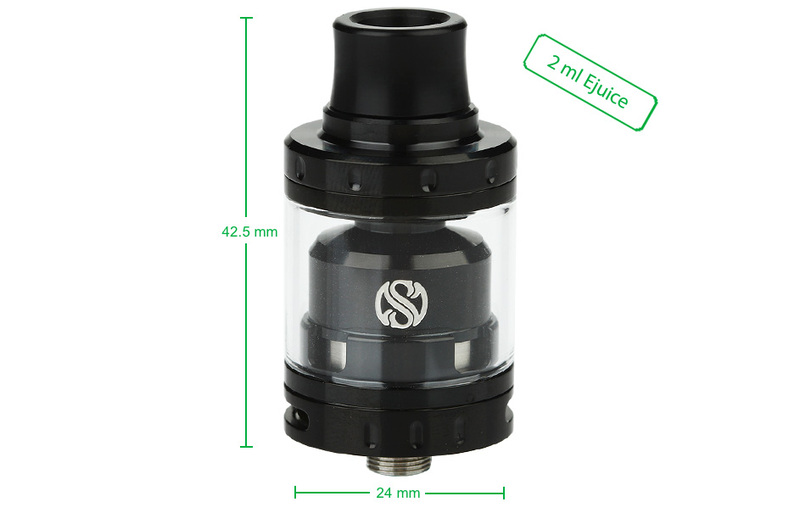 It comes with two replaceable 18mm decks to fit single or dual coil builds and includes 3 internal airflow hole variations to suit different vaping styles. 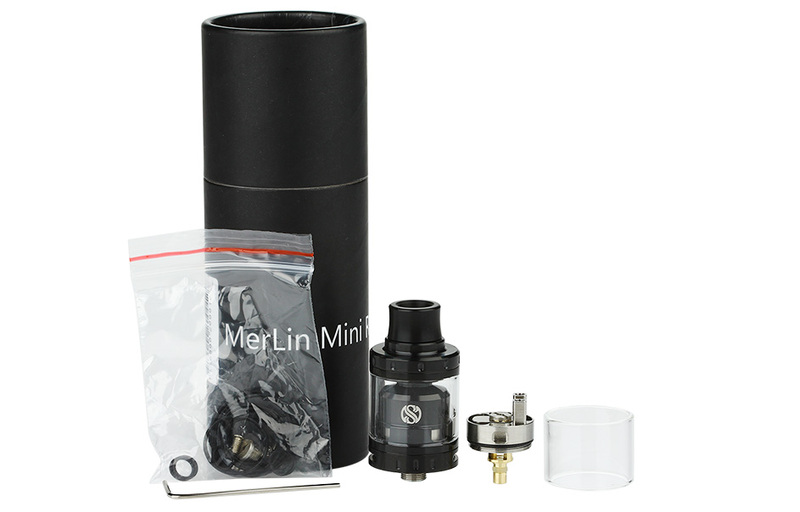 As if by magic here is the AUGVAPE Merlin Mini RTA! Enhancing its original flavor produced by the Merlin RTA, this rebuildable tank atomizer pack a whole lot of power into 24mm diameter. It comes with two replaceable decks that can be changed for single or dual coil builds which include 3 internal airflow holes for different vaping styles. Together with the Dual Adjustable Airflow, Gold Plated Brass Pin and SS construction, the Merlin Mini will give you the perfect vaping experience. Black and SS color.